I will try and update when links are found etc. Those shown are UCI rated races unless otherwise stated. The evening of madness, bunny hopping and racing held mid week on February 24 and the close of the 2015/16 cyclo-cross season. Belgian cyclo-cross held on February 21 and featured the last proper cross of Sven Nys career and of the 2015/16 season. Dutch cross held at Heerlen on February 20. Belgian cross held at Eeklo on February 14. 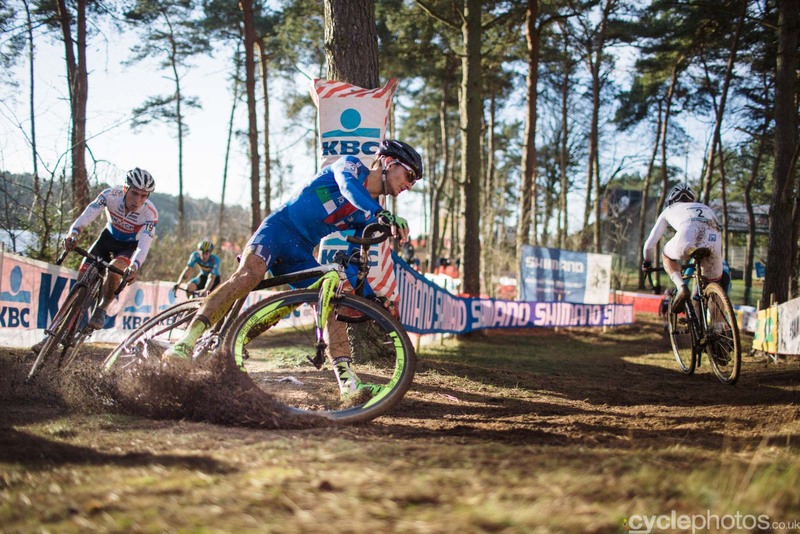 The 7th round of the Hansgrohe Superprestige held at Hoogstraten, Belgium on February 7. 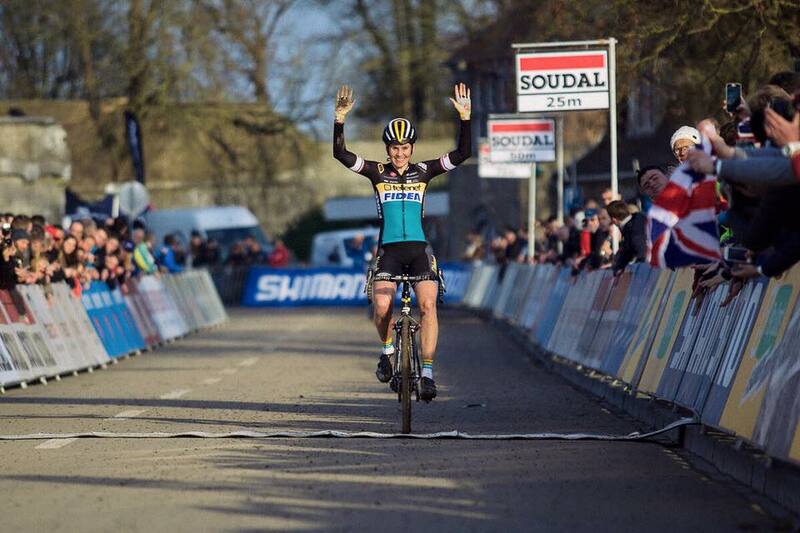 The 8th and final round of the bpost bank trofee was the Waaslandcross held at Sint-Niklaas, Belgium on February 6. 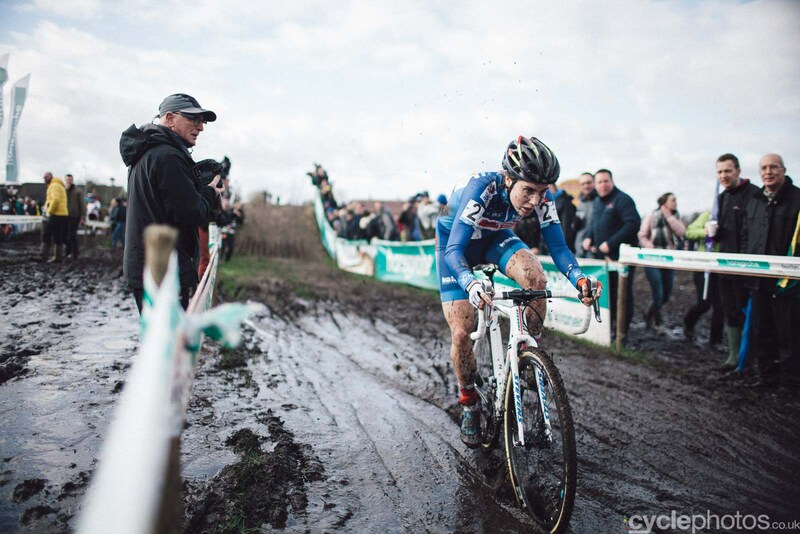 The traditional mid-week post World Championship cross held on February 3 in Belgium. The first chance for new title holders to wear their rainbow jersey’s. 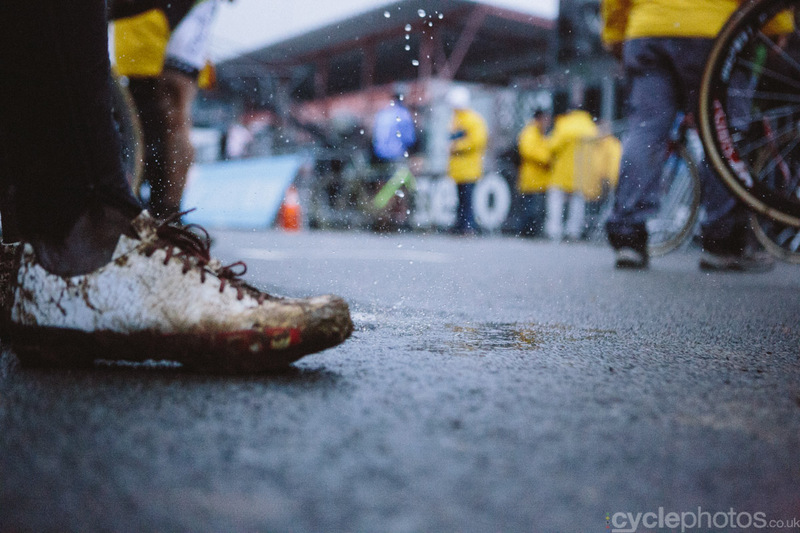 The World Cyclo-Cross Championships held at Zolder, Belgium on January 30/31. The Adri Van Der Poel Grand Prix was the seventh and final round of the UCI World Cup held at Hoogerheide, Netherlands on January 24. Dutch race held at Rucphen on January 23. 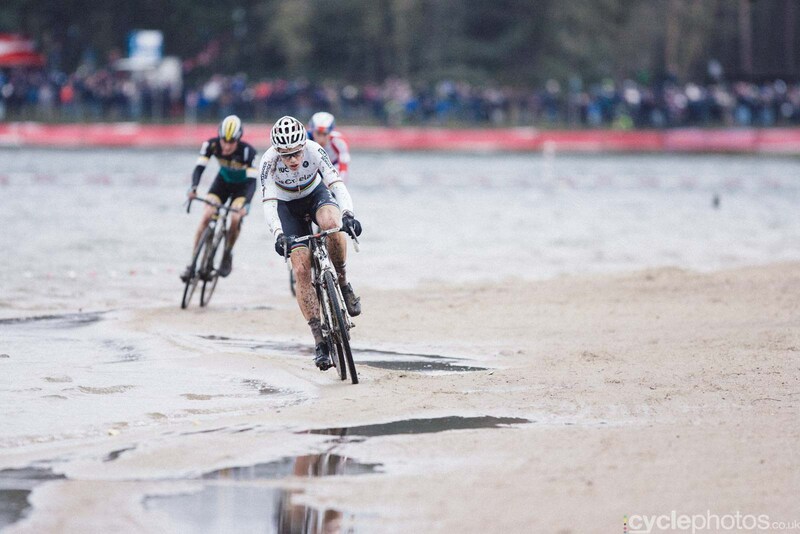 The sixth round of the UCI Cyclo-Cross World Cup held at Lignières-en-Berry, France on January 17. Belgian cross held outside the normal series on January 16. 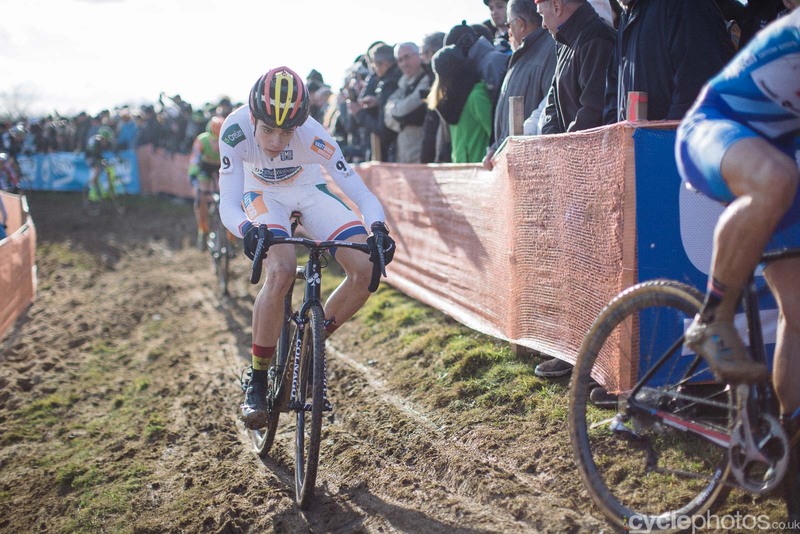 The first opportunity for many to show of their newly won national championship jersey’s at this midweek cross held in Belgium on January 11. Many countries held their National title races over January 9/10. There are video links below, but if you can’t find one maybe a trip to CycleFans will help. 2 Mair Thomas (AUT) RC ARBÖ Felbermayr Wels ?:??:?? 3 Gollinger Karl-Heinz (AUT) ASVÖ S´Radleck cycling ?:??:?? 1 Heigl Nadja (AUT) SU bikestore.cc-Team/Focus CX Team ?:??:?? 2 Pock Barbara (AUT) ASVÖ S´Radleck cycling ?:??:?? 3 Atzmüller Silvia (AUT) ARBÖ ASKÖ NF Auto Eder Walding ?:??:?? The fifth round of an Italian series hed at Prova Roma on January 6. This venue is based on the horse racing centre featured a few years back for a World Cup and maybe remembered for gun toting course marshals. 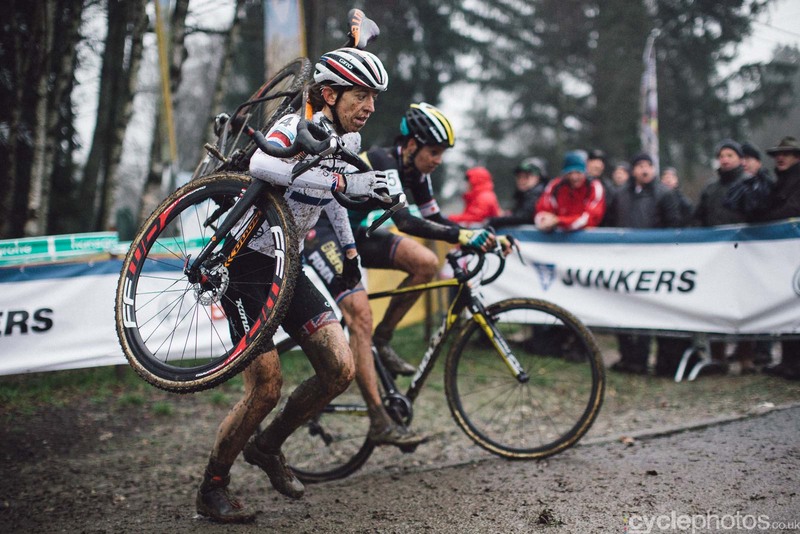 Video: https://www.youtube.com/watch?v=ZbyFnY83IWA – Action from many races with elite men at the end and if you look through it there is also the women’s race to be found which sees a rare defeat for Eva Lechner..
Mid-week cross held at Albstadt, Germany on January 6.
and local cross races from Austria (mind the water), France, Belgium and Japan. The fourth and final round of the Soudal Classics series held at Leuven, Belgium on January 3. The final round of the Swiss EKZ Tour series held at Meilen on January 2. Dutch race held on January 2. 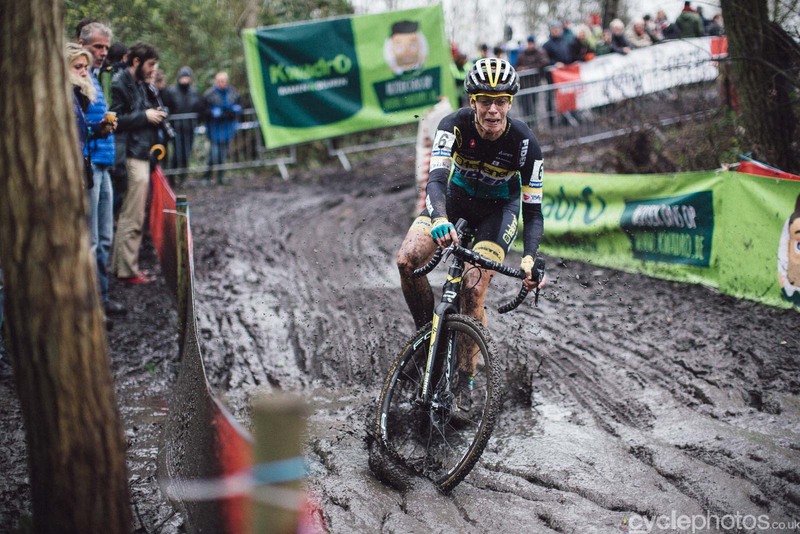 The GP Sven Nys held at Baal, Belgium on January 1, 2016 was the seventh round of the bpost Trofee. New team colours on show. Belgian cross held at Bredene on December 30. Won by Dieter Vanthourenhout but most notable for a bit of a squabble between Sven Nys and Gianni Vermeersch. Later Vermeersch apologised. The third round of the French National Series held at Flamanville on December 30. 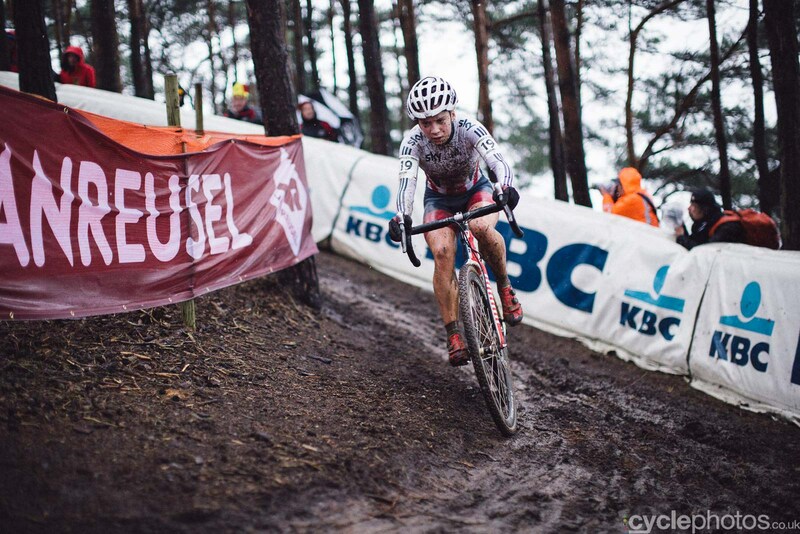 The sixth round of the bpost Trofee Series was the Azencross held at Loenhout, Belgium on December 29. 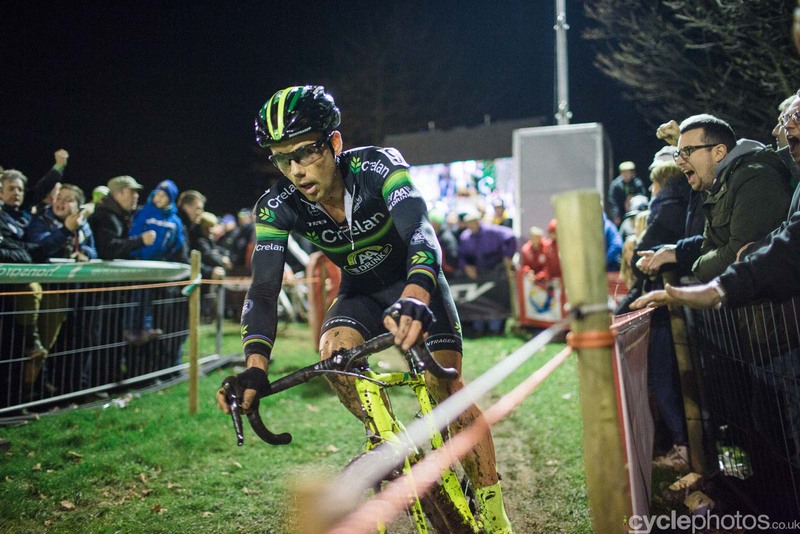 The sixth round of the Hansgrohe Superprestige series was held under lights at Diegem, Belgium on December 27. Round 5 of the UCI World Cup held at Heusden Zolder, Belgium on Boxing Day. Swiss cyclo-cross held at Pfaffnau on December 26. The sixth round of the UCI World Cup was held at a less than usually fearsome Namur Citadel, Belgium on December 20. The fifth round of the bpost Trofee held at Schelde on the sea front of Antwerp, Belgium on December 19. Round five of the Hansgrohe Superprestige series held at Spa-Francorchamps, Belguim on December 13. 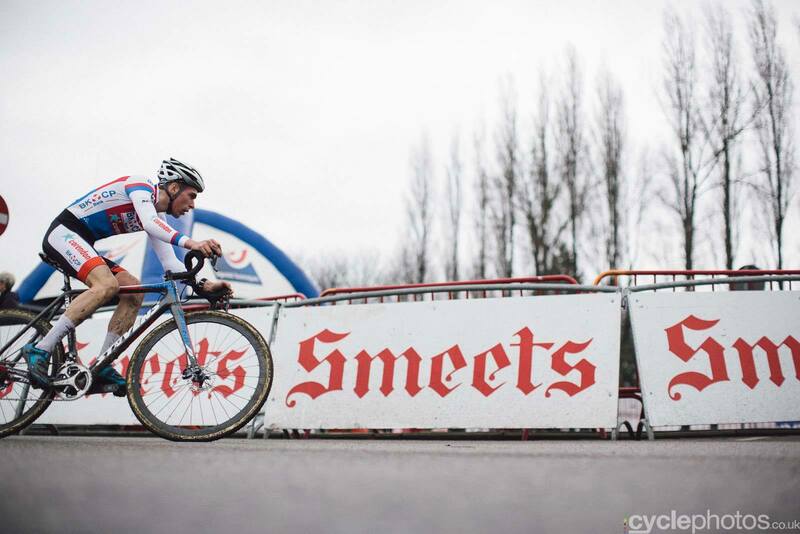 The Festive cross season kicked off with the Zilvermeercross held at Mol, Belgium on December 12. Round four of the German cross series held at Eschenbach on December 13. The fourth round of the Italian cross series held at Prova Montalto di Castro on December 13. Spanish Cross held at Valencia on December 13. Two days of racing at Dallas, USA held over December 12/13 and was also a round of the USCX Pro Cup. Two days of racing at Hendersonville, USA held over December 12/13. The eigth round of the Czech national series held at Mladá Boleslav on December 12. Ice Weasles USA (Non UCI) and all rather manic! Belgian Cross held at Overijse on December 6. Eric De Vlaeminck – Belgian multi world champion passed away on December 5. Round four of the bpost Trofee held at Essen, Belgium on December 5. Italian cyclo-cross held on December 8. Round three of an Italian cyclo-cross series held at Prova Asolo on December 6. Three days of festive cross held at Iowa City, USA over December 4/6. Featuring racing in the dark. US cross held over two days in Oklahamo over December 5/6. US cyclo-cross held over December 5/6. A round of the EKZ German series held on December 5. Daytime and evening action held over December 5/6. 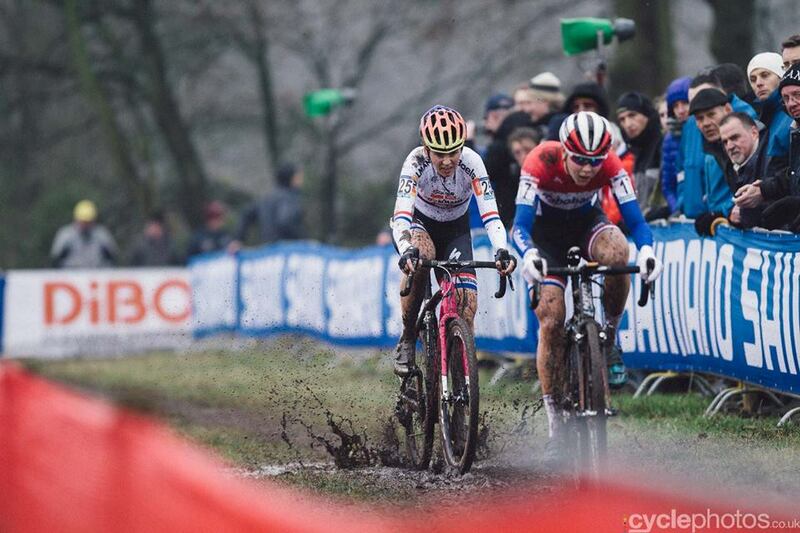 Flandriencross held at Hamme, Belgium on November 29 was the third round of the bpost Trofee. Tom Boonen cross race featuring his friends in the peloton held at Moi, Belgium on November 28. Austrian cyclo-cross held at Ternitz on November 29. Italian cross held at Brugherio on November 29. The XXII Przelajowy Wyscig Kolarski ‘Bryksy Cross’ held at Gosciecin, Poland on November 28. Held in Australia in November. 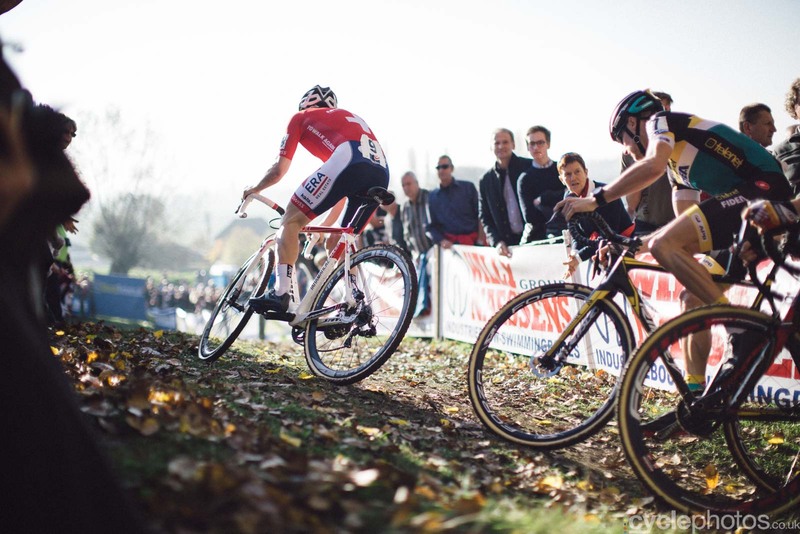 The Grand Prix Hasselt was the three round of the Soudal Classics Series held on November 21. Japanese cross held at Takashima city held on November 22. The Tour La Mézière is a French cyclo-cross held on November 22. Californian two day cross held November 21/22. Two days of cross in New York State on November 21/22. French cross held on November 21. Round 7 of the Czech national series held at Unicov on November 17. 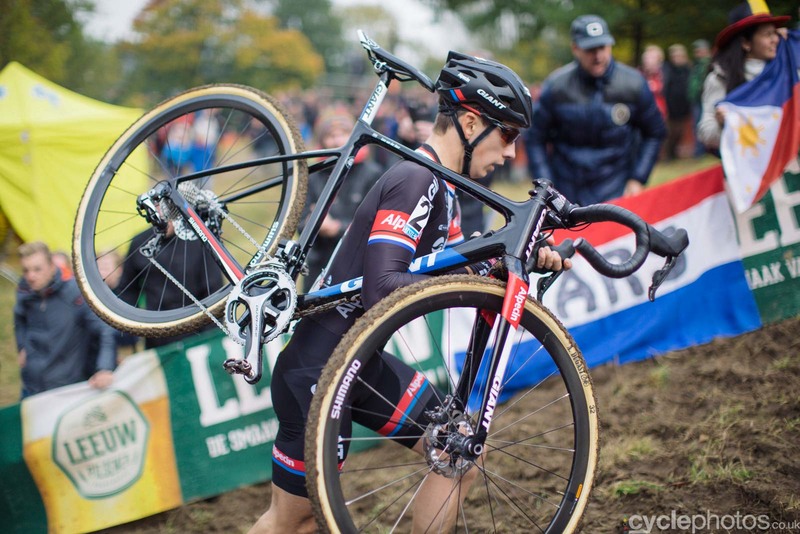 The fourth round of the Superprestige series held at Gavere, Belgium on November 15. Clement weather made this race a little less fearsome than normal. second round of the French national series held at Quelneuc on November 15. Austrian cross held at Stadl-Paura on November 15. Spanish cross held on November 15. Video https://www.youtube.com/watch?v=yeJgei_9ArA Maybe not a racing lap? Italian cross held on November 15. Swiss cross held at Madiswil on November 15. 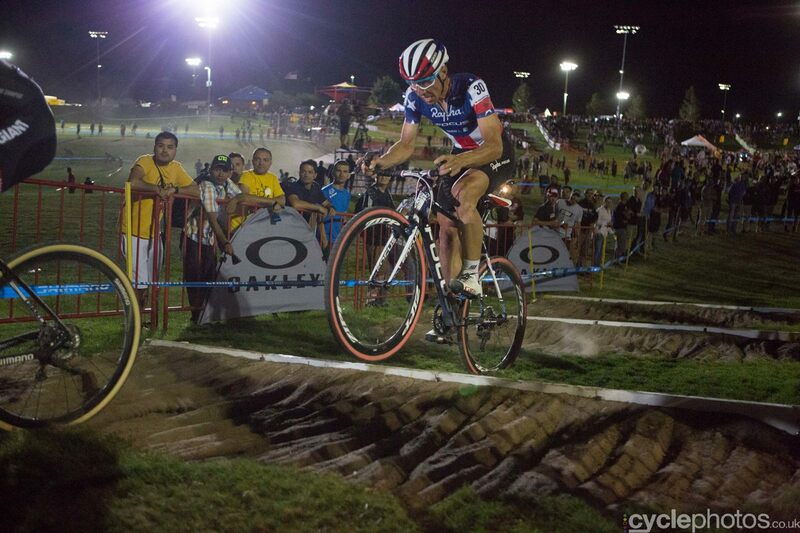 Two days of cross at Lakewood, USA held on November 14 and 15. The sixth race of the Czech national series held at Holé Vrchyon November 14. 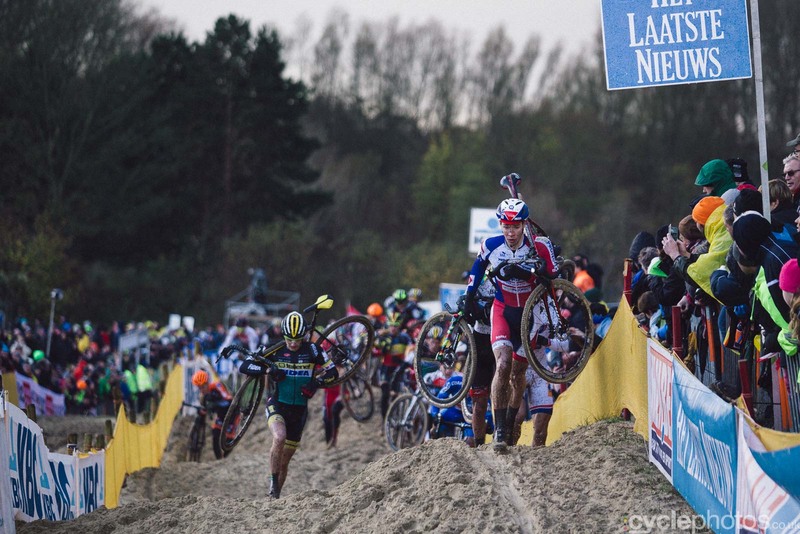 The second round of the Soudal Classics was the Jaarmarktcross held at Niel, Belgium on November 11 (Armistice Day). Across Belgium people remembered the dead of two world wars and then raced cross. The third round of the Superprestige Series held at Ruddervoorde, Belgium on November 8. Held at Huijbergen in the Netherlands on November 7. German cross held at Lorsch on November 8. Two days of racing over November 7/8 held on the World Championship course at Louisville, USA. US weekend cross held on November 7/8 at Northampton. Niels Albert and Wout Van Aert go head to head. 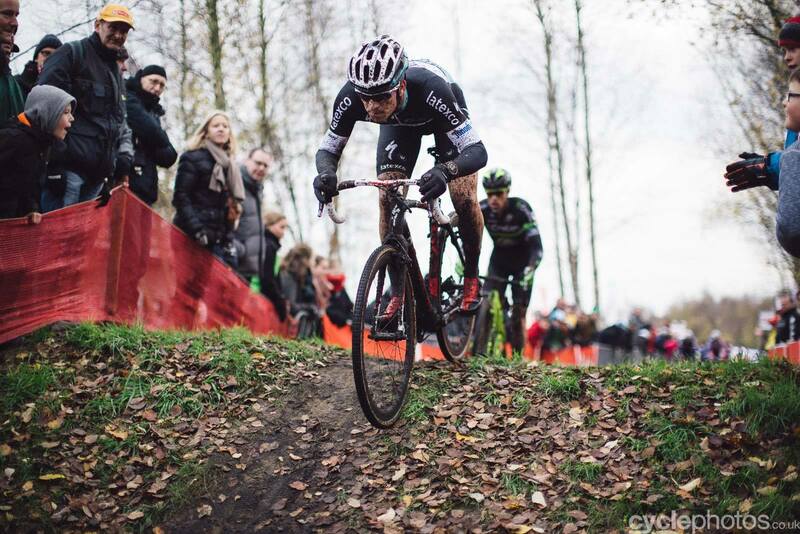 The Koppenbergcross was the second round of the bpost Trofee held at Oudenaarde, Belgium on November 1. The third round of a German series held at Hittnau on November 1. Italian cross series held on November 1. French cyclo-cross held on November 1. Japanese cross held on November 1. Continental championship held in Cincinnati, USA on November 1. Held the evening before the Panamerican Champs in the USA on October 31. The 5th round of the Czech National Series held at Louny on October 31. Held in Belgium on October 31. It’s good to see a bit of ‘local’ racing from around the world and these are from the USA. The 4th round of the Czech National Series held at Tabor on October 28. 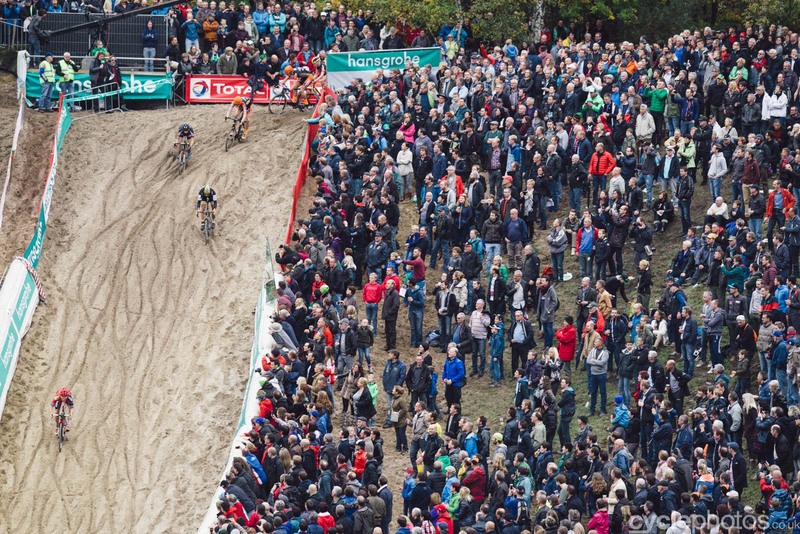 The second round of the Superprestige Series held at Zonhoven, Belgium on October 25. Italian cross series held on October 25 at Prova Fiuggi. Spanish cross held on October 25. Swiss cyclo-cross held on October 25. Canadian Cyclo-Cross Championships held on October 25. Luxembourg cyclo-cross held on October 25. Two days of racing in Washington DC, USA held on Octiber 24/25. Held over two days on October 17/18 at Jamesburg, USA. One of the strengths of US cross is that so many races are held over a weekend. This time it was October 17/18 at Boulder, USA. 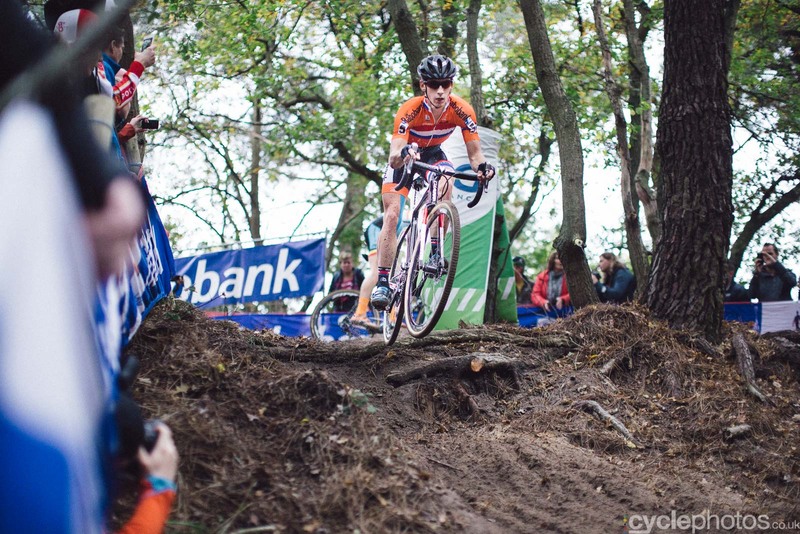 The second round of the UCI World Cup was held at Valkenburg, Netherlands on October 18. Belgian mid week cross held on October 15. 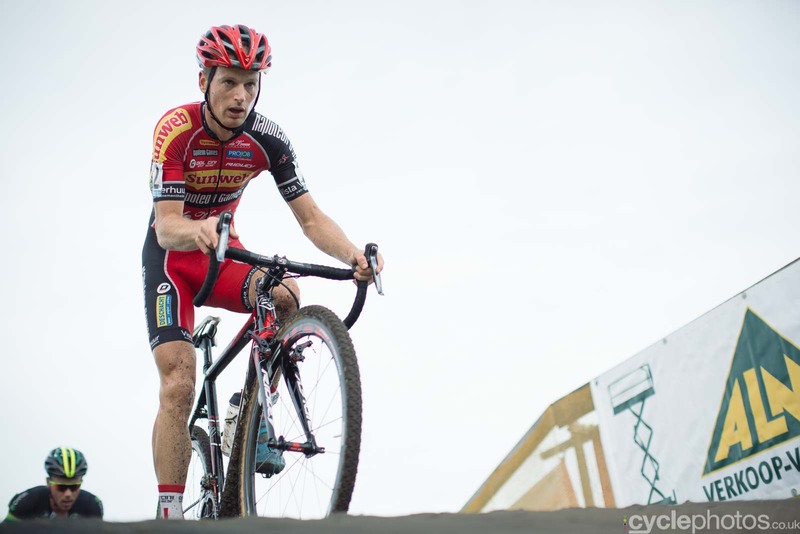 GP Mario de Clercq Ronse was the first round of the bpost Trofee held at Ronse, Belgium on October 11. Two days of racing at Waterloo, USA on October 10/11. A Swiss cross race held at Beromunster on October 11. The first round of national French series held at Albi on October 11. The third round of the national Czech Series held at Milovice on October 10. Slovak cross held at Podbrezova on October 11. 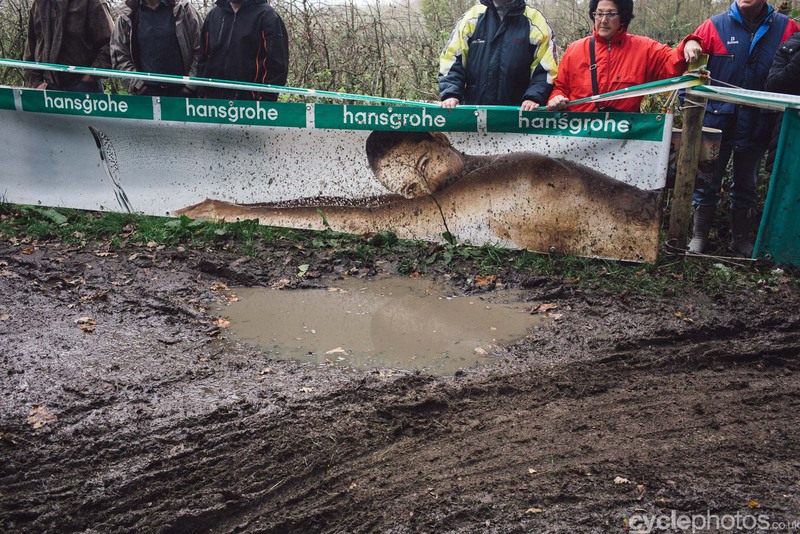 The first round of the Hansgrohe Superprestige cyclo-cross series held at Gieten, Belgium on October 4. The second round of the EKZ Cross Tour held at Dielsdorf, Germany on October 4. The Providence Cup held on October 3. Action from the Stevens Cross series held in the North of Germany at Kaltenkirchen on October 3. Not an UCI event but interesting to see a regional German event. The second round of the Chzech national Toi Toi Cup series held at Hlinsko on October 3. The first round of the Czech national series, the Toi Toi Cup held at Slaný on September 28. Video highlights: http://www.ceskatelevize.cz/porady/….. (it could be Herne Hill!) Mostly men but there is coverage of the women’s race at 35mins. Two days of racing at Gloucester, USA on September 26/27. A few Brit’s took part and please note that all the videos start the same. Action from Erpe-Mere in Begium for the Steenbergcross held on September 27. Swiss Cross held at Illnau on Eptember 27. 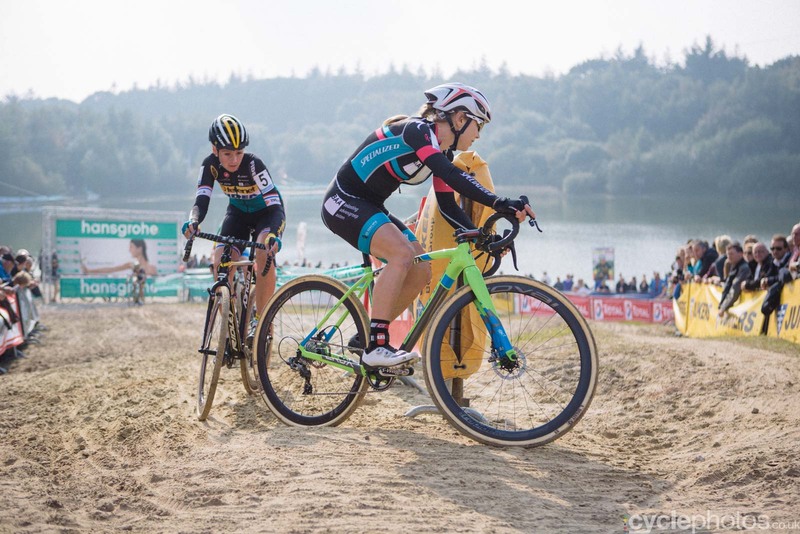 The European cyclo-cross season got underway on Saturday with the first race of the Soudal Classic series held at Neerpelt, Belgium on September 26. The first round of the UCI World Cup Cyclo-Cross held in Las Vegas, USA. A C1 race held at Baden Baden in Switzerland. The first big European event of the 2015/16 season. Nittany Lion Cross held at Breiningsville PA, USA. Chinese cross held at Qiongzhong Station, China. Full Moon Vista Cross held at Ellison Park, Rochester, NY, USA. Held In France, August 31/September 6. Be warned the music on these videos is awful!